The concept of NorTex relates back to the Transatlantic Science Week 2012, which was held in Houston, when approximately 200 people related to universities in Norway came over to Texas to attend the conference. 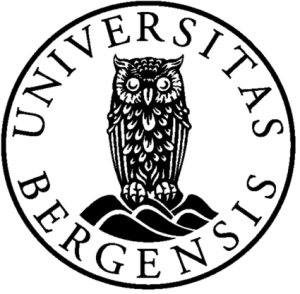 Among those people were Rectors from the five major universities: University of Oslo, University of Bergen, University of Stavanger, University of Tromsø, and NTNU in Trondheim, who came to participate in the conference, but also to seek out common interests where cooperation would be beneficial. Read more in the conference report. From a Norwegian perspective it has been a clear statement that Texas is important, as seen by three parliamentary delegations visiting the last three years, as well as two Ministers of Health and Care Services, two Ministers of Education and Research, the Minister of Defense, and the Minister of Petroleum and Energy. When Ola Borten Moe, the current Minister of Petroleum and Energy, came to Houston he visited University of Austin and familiarized himself with Statoil’s Academia-program. Through this program, Statoil funds UT Austin with one million dollars a year for five years, in an attempt to transfer research from paper into action. Consequently, the increased presence of Norwegian companies and people has strengthened ties between Norway and Texas, which in turn has increased the relevance of a formulated collaboration between these two entities. As a result, the notion of NorTex was born. Read more details from the pilot study. For questions, comments and sponsorship opportunities, please contact the Chairman of the Executive Board at Arne.Graue@ift.uib.no.